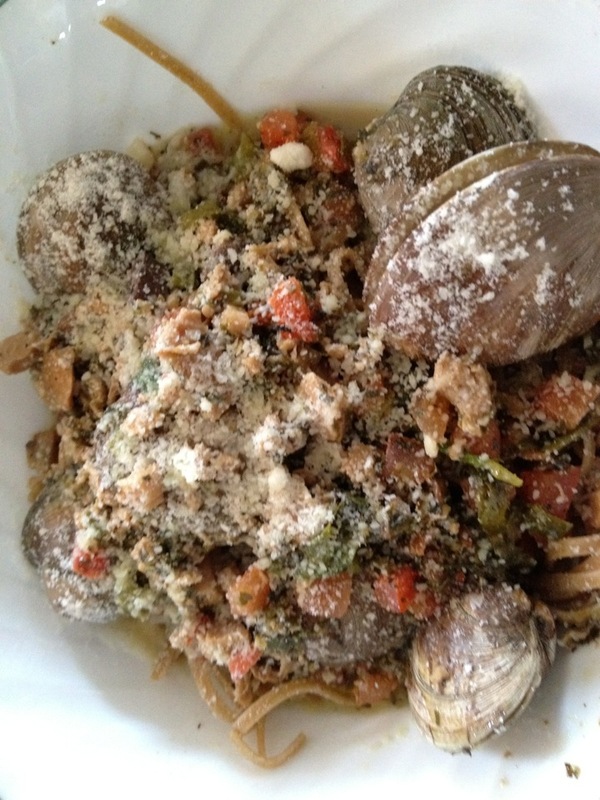 2 dozen steamed clams…steam till they open! Watch closely it does not take long. salt and pepper simmer 5 minutes. Serve over linguine. The original recipe was in “Taste and See”. We all knew it was his recipe.